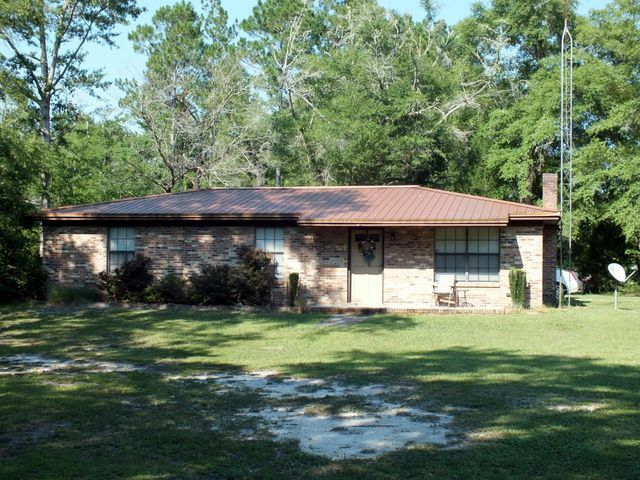 Well maintained 1200 sf brick home on 1.6 acres, located on the peaceful, paved county road. There is a completely finished 10x16 workshop with extended storage for outdoor equipment. Ponce De Leon Springs State Park is nearby as well as a I-10 highway interchange. © 2019 Emerald Coast Association of REALTORS®, Inc. (ECARMLS). The information being provided is for consumers personal, non-commercial use and may not be used for any purpose other than to identify prospective properties consumers may be interested in purchasing. Information is believed to be accurate but is not guaranteed. Data last updated: Friday, April 19th, 2019 06:46:38 PM. Listing courtesy of Naylor Realty And Associates.